If you are planning on putting your home up for sale, whether on your own as a "For Sale By Owner" (FSBO), or through the services of a professional real estate broker, I encourage you to consider the issue of safety. When I entered the real estate industry 24 years ago, this was just not an issue. Perhaps I was young (and in shape), but I just don't think criminals had targeted homes, home sellers, and real estate agents. But you just can't avoid the reports that you see nationally. Real estate agents meeting "buyers" alone at otherwise un-occupied homes have resulted in rapes, murders, theft, and vandalism. In today's real estate market where values have declined and there is not as much equity in a home, it's like adding insult to injury (or actually vice-versa) to add a horrific crime to an already difficult situation. Fortunately, there are some steps a home seller can take to reduce the chances of harm to themselves or their property when they decide to sell their home. Understand The Plan - You can minimalize risk by understanding the plan. Identify who will be responsible for showing the home (you, your agent, the buyer's agent) and how they will obtain access. DO NOT USE A HIDE-A-KEY or even a combination lock-box, as you have no idea who ultimately knows the code. Personally, I wouldn't want the combination to my front door known beyond my immediate family members. Put Your Home On A Schedule - Whether you go it alone and sell your house "For Sale By Owner" or you hire a real estate company to sell your home, you should understand the plan for access to your home. On the one hand, you need to make access as easy as possible so that you can get buyers to see your home (when their schedules allow), but on the other hand, do not make it as simple as "just stopping by." There must be a controlled access plan to reduce the risk of somebody taking advantage of your desire to sell your home. 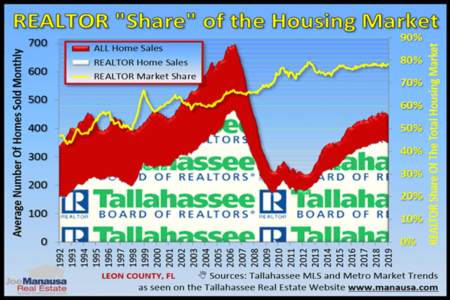 Secure Valuables And Drugs - I know of two stories (and several rumors) of real estate agents in Tallahassee who have stolen prescription medication from homes during an open house or showings. Now add to that all the stories I have not heard about prospective buyers doing the same and you can see this is not an infrequent occurrence. I suspect that theft occurs daily in real estate showings around the Country, so a homeowner needs to take basic precautions when the home hits the market. Secure your valuables, and secure your prescription medications. If strangers are going to be in your home, make sure it is secure. Control Access To Your Home - Joe Manausa Real Estate considers personal safety an important issue. 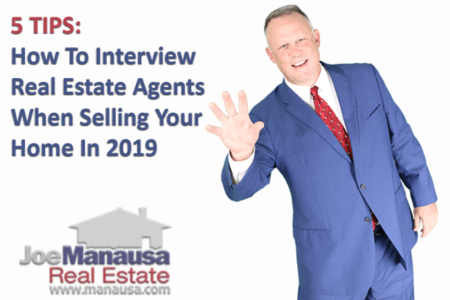 There have been too many stories of single agents being raped, robbed, and even murdered after they agreed to meet unknown prospective home buyers at properties. Our policy is to meet all prospective buyers first at our office in order to get to know them and to identify them to our office staff before leaving the office. If you are a homeowner selling alone, you need to consider personal safety too when you develop your home selling plan. Will you let just anybody knock on the door and come in? Big Mistake (and not just because of safety). We know that open houses produce less than 1% of home sales in the US (where the buyer of a specific home was found through an open house of that same home). That means that somebody knocking on your door has less than a 1% likelihood of buying it, so do you really want to let them in? Good real estate agents qualify buyers before taking them to your home, shouldn't you do the same? My advice, don't let your desire to sell your home cloud your judgment on who should obtain access. Never Show Your Home Alone - Real estate agents work alone with buyers all the time. But we have a system that reduces most of the risk (as mentioned above about meeting buyers first at our office). Unless you personally know the person asking to see your home, make sure you qualify them first, and then schedule them to see your home when you and somebody else will be there. If you are single, get a friend to help you. If you live with somebody else, make sure two or more people are there to receive any visit or showing of somebody who is unknown to you. Don't let them stroll through the house alone, rather guide them through the home and ask them questions (this will also help promote a sale of your property).